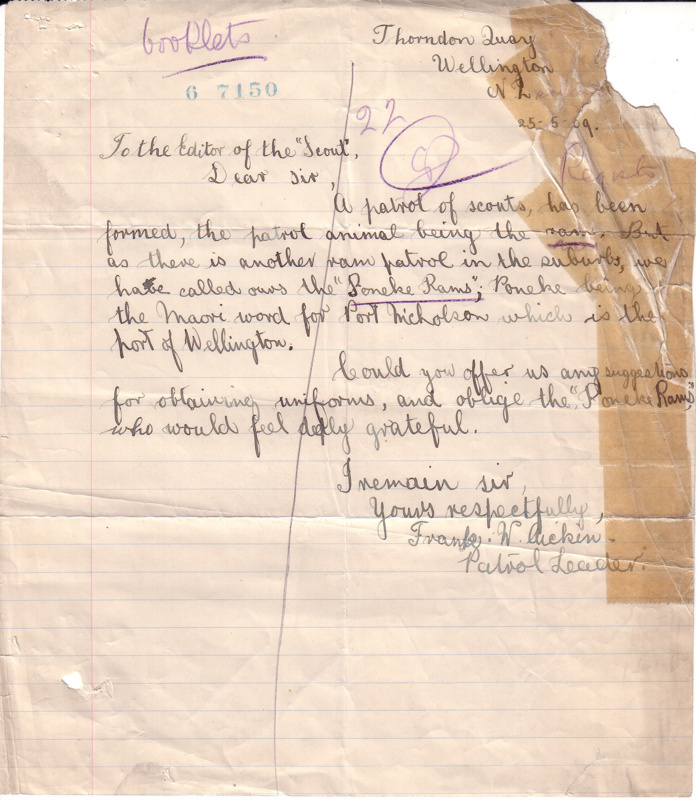 Letters to and from London relating to the founding of a Poneke Rams Scout Patrol in Thorndon, Wellington. The British magazine "The Scout" which was published by Pearsons who Baden-Powell used to also publish his book "Scouting for Boys" and was distributed throughout the British Commonwealth along with numerous other English magazine titles. It was from rerading these magazines that various groups of boys formed themselves into Patrols of Scouts. This example has the Patrol Leader writing to the magazine Editor asking for more information. Pearson's were flooded with such letters and a Managing Secretary was employed to respond to them until a more permanent Scout Headquarters was set up in London. 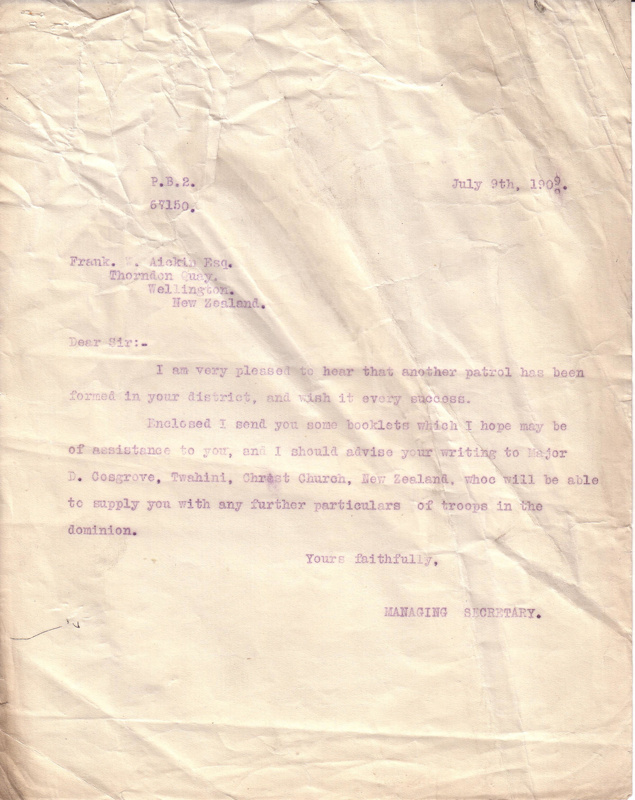 A carbon copy of the reply shows the Managing secretary refering the writer to contact Major Cossgrove of Tuahiwi (North Canterbury) who had taken on the responsibility of organising Scouting in New Zealand.